Chelsia Rose Marcius The banned drink was on sale last week. 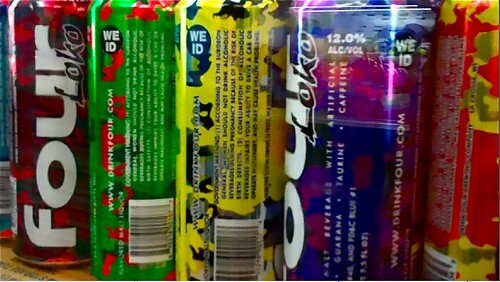 As we told you last week, The Local found five East Village establishments selling the caffeinated version of Four Loko, the alcoholic beverage banned last year after the New York State Liquor Authority and in-state distributors agreed to stop selling the product. Officials with the authority said today that they plan to look into the continued sale and distribution of the beverage. Store owners found selling the drink face fines ranging from $1,500 to $2,000 and other penalties, including the revocation of their liquor licenses. Steve Harris, president of the New York State Beer Wholesalers Association, said it is highly unlikely — but not impossible — that retailers are getting the drink from New York distributors who are not a part of the association. He noted that area businesses could also be “getting it illegally from New Jersey wholesalers or retailers,” or other out-of-state distributors.